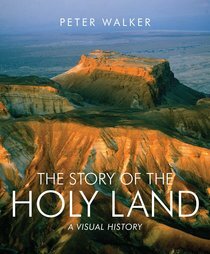 :Stunning large-scale photographs, linked and illuminated by an insightful text, encapsulate the 4000-year sweep of the history of the Holy Land in a way that will refresh the expert and instruct the beginner." Jerome Murphy-O'Connor, OP, École Biblique, Jerusalem Author of the world-renowned The Holy Land: An Oxford Archaeological Guide The history of the Holy Land stretches back to the dawn of time, and encompasses a dramatic mix of events - from border skirmishes to full scale invasions, from the wanderings of Abraham and the patriarchs to the powerful teaching of numerous prophets. From earliest days to 1948, it has passed from one ruler to another, one empire to the next, and has been a melting-pot for a wide range of cultures and beliefs. With sites sacred to Judaism, Christianity, and Islam, the Holy Land and its people have had an impact on history out of all proportion to its size - and continue to do so today. Here now is a short but authoritative overview of this fascinating story. Richly illustrated with superb photography, including original nineteenth and twentieth century shots from the École Biblique in Jerusalem, this book will take you on a journey lasting nearly 4000 years. Accessibly written, The Story of the Holy Land provides a compelling visual history of the land which has often been "centre stage" in the history of our world. About "The Story of the Holy Land: A Visual History"